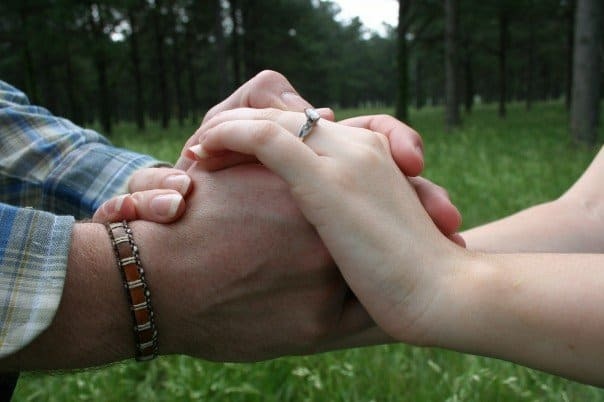 Marriage prayers are a powerful way to strengthen your bond as a couple. Praying for your spouse is an under-utilized tool for empowering your marriage. The very act of prayer softens your heart toward whatever (or whomever) you are praying about. You will be more sensitive to the needs of your spouse. Plus, God will reward your desire to have a heavenly marriage and will bless you in ways only He can. Below, discover 12 prayers for married couples to bless your life. These marriage prayers give you a great place to begin for invigorating your marriage. I glanced up at the night sky as we walked. It was black, too clouded over to see any stars tonight. Richard and I found cold metal bleachers to sit on as we talked about a little bit of everything, especially the future. It was one of those conversations I’ll never forget. Before walking back to the truck, we decided to pray together. Each taking our turn, we prayed specific prayers for our relationship and what the future had in store. Tears coursed down my cheeks as I thought about the years ahead. We opened our eyes to look up at the sky once more, which had completely changed. The sky now shone brightly with hundreds of stars that felt like a special gift just for us. That was the first night we talked about getting married. I wish I could say that we always pray so fervently for our relationship. But the truth is, we allow routines and busyness to get in the way of these specific, deep requests to our Father. Praying for my marriage must be prioritized. Without a doubt, we are missing out on some wonderful blessings by neglecting the area of prayer. I usually only give marriage prayers a quick line at the end of the page of my prayer journal. And, it’s usually just a simple prayer for my husband – not for us together, as a unit. This is something I want to change. 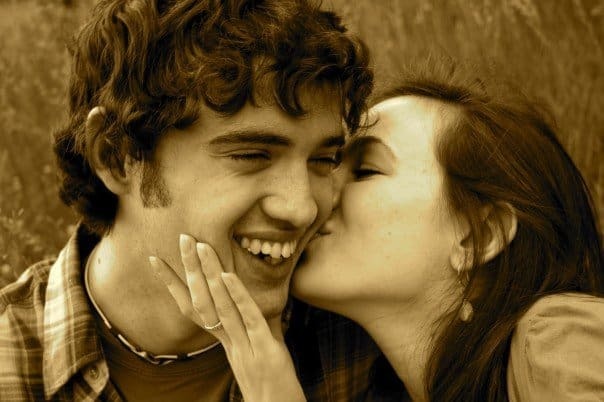 So, I’ve been inspired to come up with these 12 deep and specific marriage prayers to help us stay on track and grow closer as a couple while glorifying God. Perhaps these prayers will bless your life as you apply them to your own marriage. When you make praying for your marriage a priority, you’ll automatically be more in tune to your spouse’s needs, your response to them, and your priorities as a couple. 1. Lord, help us see the good in one another. 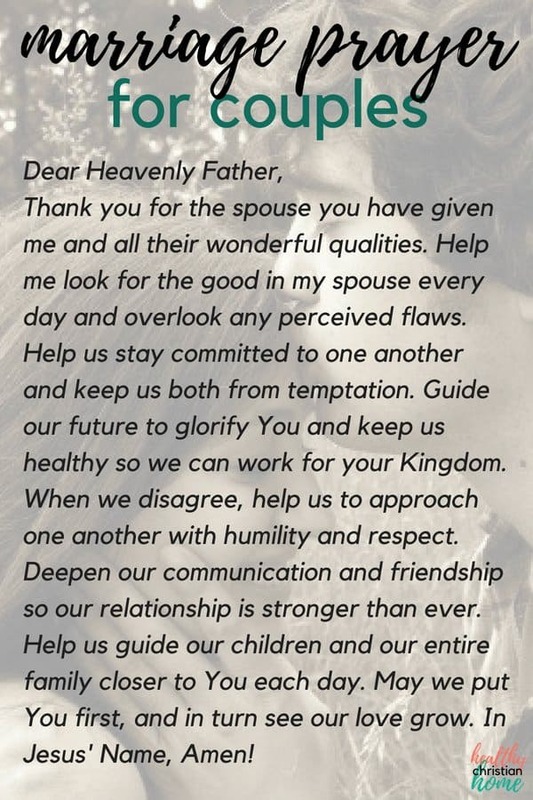 During the initial months of dating and engagement, this prayer is pretty unnecessary. All you can see is perfection in the person you love. Years of routines, challenges, and familiarity set in. You start to notice little things that bother you, and sometimes you even make them up. I’m ashamed to say I haven’t always looked for the good in my husband. 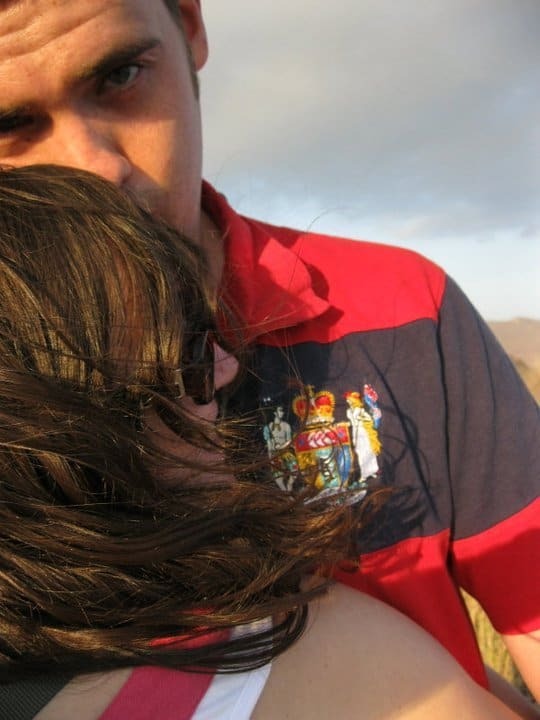 He is the best man I’ve ever known, yet I still find ways to be dissatisfied when I’m feeling cranky or selfish. It’s human nature, isn’t it? Prayer is a wonderful way to combat this. Ask God to help you see the good in your spouse. Make a list of all the ways your spouse blesses you. Set aside a special little journal just for this purpose. Every time your spouse does something that significantly blesses you, write it down. When you’re tempted to be ungrateful or irritable, go back and read the journal. Imagine what a fantastic 50 year anniversary present this would make, too! 2. Lord, help us stay committed to one another. Yep, things change after years of togetherness. It’s easy to overlook all the wonderful things your about your spouse amidst the hum-drum of everyday life. And maybe those wonderful things have changed. Because as the years pass, we change as people. The incredible thing about marriage is how it teaches you commitment through life changes. The person you’re married to now is probably different than the person you married years ago. The person you’re married to now is just as perfect for you as the person you married back then. Only now, you’re wiser. You’ve gone through trials and learned about life. You’ve grown and changed together. Don’t pine for the relationship you used to have, or what you think it should be. Realize that the relationship you have now is infinitely more valuable because of all you’ve weathered. During hard times or changes you might not feel like loving your spouse. Love them anyway. Decide today to love your spouse, the good and the bad. Ask God to help you stay committed, even when things aren’t easy. 3. Lord, help us think about each other’s needs before our own. Another beautiful aspect of marriage is how it teaches selflessness and humility. When you get married, you belong to someone else. Life is not all about you anymore (it never was, if you’re a Christian). But you don’t have the luxury of doing everything your own way anymore. This is a good thing. Why? Because it’s making you more like Jesus. He came to this earth not to be served, but to serve. Write down a couple things you know your spouse would like you to do differently. Can you do more around the house? Iron his clothes? Cook specific meals? Let him choose the movie or restaurant for once? Make a commitment to do these things this week. Ask God to help you. See how much joy you receive by making the other person happier. Related Post: Proverbs 31 Woman – Don’t Be Intimidated. Be Inspired. 4. Lord, help us approach disagreements with humility. When disagreements arise, how do you respond? I feel completely unqualified to write on this topic. I’m woefully deficient in holding my tongue when I need to. Who doesn’t enjoy being right? But showing humility in disagreements is crucial for a healthy marriage. You must fight fair. It’s different for everyone. Maybe you need time to cool off before finishing a discussion. Maybe you need to have a system in place where you both listen to the other person’s side – fully – before responding. Giving your spouse the benefit of the doubt is key. Nine times out of ten, the thing I’m mad at my husband for is a total misunderstanding. I completely misinterpreted something he did or said, and am fuming for no good reason. Decide to give your spouse the benefit of the doubt, take time to cool off, and listen. I know, easier said than done. That’s where prayer comes in. 5. Lord, help us keep our priorities straight. Certainly every person on the planet struggles with this. Whether it’s forgetting to study your Bible, getting distracted at work, or neglecting quality time with your spouse. Sit down with your spouse and write down all the things that are most important to you. Discuss whether each person feels that sufficient time is spent in these areas. Work out a plan for how to make better use of your time. For us, we thought we had our daily family devotionals “in the bag.” It was a well-oiled machine and such a blessing to our family. We rarely missed a night. Then, it started to slip somehow. Whether it was due to late nights, overcommitments, or sheer laziness, I’m not sure. But at some point our devotionals diminished in frequency and fizzled out. 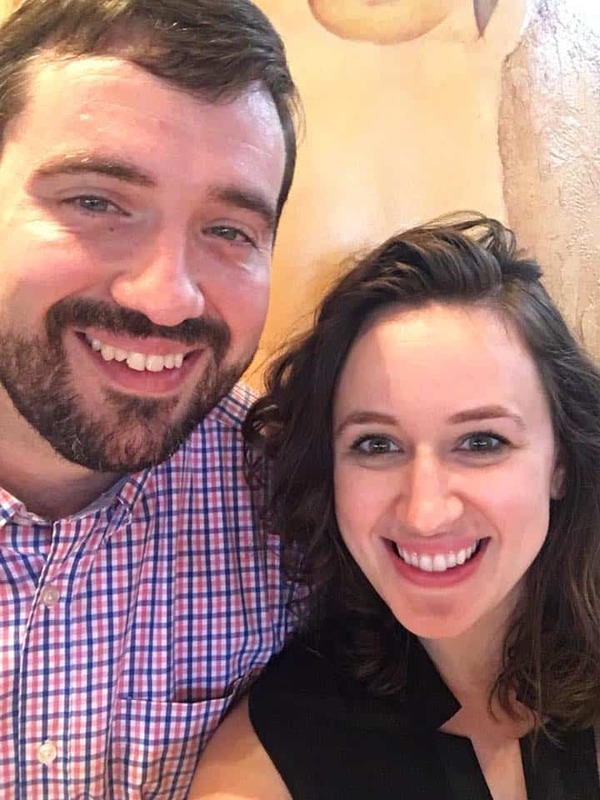 Instead of beating ourselves up about it, my husband and I are starting fresh. We set a phone reminder for family devotional time, and are working on establishing the habit once again. 6. Lord, bless our physical health so we can serve you fully as a team. If you’ve spent any length of time on this blog, you know how passionate I am about how physical health blesses every part of our lives. You truly don’t know what a blessing your health is until you struggle with it. Without health, it’s difficult to fulfill any of your life purposes, plans, or dreams. Even serving God is more difficult. Ask God to keep you and your spouse physically healthy for as long as possible so you can accomplish everything He wants you to. But don’t eat junk food, neglect sleep, and expect God to bless your health. In addition to prayer, take action. To get started, grab the Daily Self-Care Rituals Checklist below. 7. Lord, guide our future decisions for Your glory. Sometimes, we get hyper-focused on our current struggles and requests, forgetting to pray about the future. Ask God to guide you as a couple wherever He wants you to go and however He wants you to serve. If you had told me 11 years ago that we would move five times, I wouldn’t have believed you. Someone actually said once, “You must really enjoy moving.” LOL! I don’t think anyone enjoys the process of moving, especially as many times as we have. Talk about stressful and exhausting. There were times when things didn’t make sense to us, but looking back we see God’s hand in every place we’ve lived. Now, we feel so blessed to know all the people who have crossed our path, and we see how God answered specific prayers in the mysterious process of multiple moves. His ways are truly higher than ours. You may think you have your future all mapped out, and that you know where you’ll be and what you’ll be doing from here on out. I challenge you not to limit God. Be open to what He has in store for you, and pray for His guidance. 8. Lord, help us respect one another. When I see couples make disparaging remarks about their significant other (even jokingly), I’m saddened. No matter how much of a temptation it is, never join in a husband-bashing session on girls’ night. Equally important, be respectful in how you speak to your spouse daily. I desperately need to work on speaking to my husband more respectfully when we disagree. No matter how challenging this is, mutual respect is crucial to a heavenly marriage. For wives, check out Created to Be His Help Meet by Debi Pearl for a great resource on respecting your husband more. 9. Lord, help us be honest with one another. I might be a little bit too honest with my husband sometimes. Brutally so. But at the end of the day, I know he takes me as I am. He knows the good, bad and ugly and still loves me. How blessed am I!? The moment you start keeping secrets from your spouse, Satan gets a foothold. Make a commitment to never have secrets from each other. To the point that if your spouse watched a replay of your every daily move, or if you swapped cell phones, you wouldn’t care one bit. True honesty will make you closer than ever as a couple. Ask God to give you the strength to be completely honest every day. 10. Lord, help us teach our children about You. Even if you don’t have children yet, start praying this prayer. It’s never too early. With all the negative influences in this world, persistent prayer for your kids is a must. Ask God to help you take action in your child’s life. For a full run-down on teaching your child to love God on a daily basis, read this post. 11. Lord, help us deepen our friendship. This weekend, my in-laws took our boys to their house so my husband and I could enjoy a late celebration of our 11th wedding anniversary. Our 10th anniversary was a bit overshadowed by the fact that we were moving, so we wanted to celebrate extra big this year. It was a wonderful opportunity to reconnect, chat, and dream about the future. Not to mention the three (yes, THREE) date nights we were able to go on! We’re a bit burned out on restaurant food, but feeling blessed by the impact this time had upon our marriage and friendship. Date night #2 at Cheesecake Factory. One thing I realized afterward was how easy it is to neglect significant time in deep communication, the way we did when we were dating. Every marriage needs plenty of time for connection and friendship. Ask God to bless you with quality time. Discuss what activities are most important to each of you, and spend focused time together weekly! 12. Lord, help us love You above all else. If you don’t remember any other marriage prayers in this list, remember this one. Even the most focused Christian goes through seasons of doubt and discouragement. So, cultivating a deep love for God is crucial for weathering the storms of life. One of the principal blessings of marriage is having that person to lift you up and point you to God when you need it most. When one person is struggling, the other person can help them make their way back to God. Be that blessing for your spouse – commit to helping them get to heaven! Work on your own relationship with God through focused prayer and study time, so you can have a heavenly marriage. One of the best resources for wives is the Woman After God printable pack. This resource helps you learn to study the Bible effectively, answer deep burning spiritual questions, and dive deep into the realm of prayer. When your relationship with God is right, your marriage will be at it’s best! Check it out here. Thank you for the spouse you have given me and all their wonderful qualities. Help me look for the good in my spouse every day and overlook any perceived flaws. Help us stay committed to one another and keep us both from temptation. Guide our future to glorify You and keep us healthy so we can work for your Kingdom. When we disagree, help us to approach one another with humility and respect. Deepen our communication and friendship so our relationship is stronger than ever. Help us guide our children and our entire family closer to You each day. May we put You first, and in turn see our love grow. In Jesus’ Name, Amen! I hope this post blessed your marriage and gave you some ideas for your prayer list during your quiet time with God. Do you have any marriage prayers to add to this list?